Gods & Monsters Set To Open Saturday! Check out the line up for the opening of Gods & Monsters this Saturday! 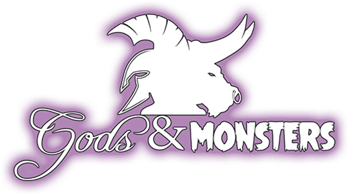 Gods & Monsters, the nation’s second-largest comics, toys, collectibles and gaming venue, permanently swoops into Orlando on June 13th with a free grand opening celebration for all ages from 10 a.m. to 10 p.m. Gods & Monsters is located inside Artegon Marketplace Orlando, the new shopping attraction and artisan marketplace on north International Drive. Following a ribbon cutting ceremony at 10 a.m., the public is invited to explore Gods & Monsters and its Transmetropolitan Gallery and Offworld L.O.U.N.G.E. and enjoy 12 hours of non-stop entertainment, activities, art demonstrations, contests and give-a-ways, including free comics. Activities will raise funds for the Hero Initiative, a not-for-profit which helps comics creators in need. A free arcade sponsored by Free Play Florida & BART. Special appearances by renowned cosplay models, Callie Cosplay, Heather1337 & Jenifer Ann, and by Central Florida’s critically acclaimed Victorian Horror Troupe Phantasmagoria. Legacy Aerial Arts offers aerial silks performances by Bella Maia as Cat Woman and Hailey Burkett as Wonder Woman. Superhero arts & crafts throughout the day, with Mad Science highlighting the Science of Superheroes from 11 a.m.-5 p.m.
Live art demonstrations by Bianca Roman-Stumpff, Kevin Wood, Mark Pacich, Robo Ohno and more during the Tansmetropolitan Gallery Art Show. Comics creator Shawn Surface will promote his upcoming series “Mandi,” sign books and prints, and draw custom character sketches for donations. Renowned convention artist Michael “Locoduck” Duron will create character sketches for attendees. The 501st, Mandalorian Mercs and Guardians of Justice (non-profit organizations), will have groups of popular characters appearing throughout the day. Guests are encouraged to attend in costumes throughout the day, and participate in an 8 p.m. costume contest with prizes. Brit Lytle with Bittersweet Body Art will conduct live body art demonstrations. Author Brian Downes will sign copies of his book, The Berlin Fraternity. The Hero Initiative will host a fundraiser with silent auction. Indie Game team at Major Games will be demoing their creation, BiT Evolution. Jim Inziello with Unicron Studios will be demonstrating 3D printing throughout the day. Comedian Adam Avitable, DJ Math(ew)Matics, DJ Elliot and DJ Spank will oversee and emcee the festivities, which will also feature light bites provided by Chevy’s Fresh Mex and Pizza@ Artegon, with proceeds benefitting the charity. 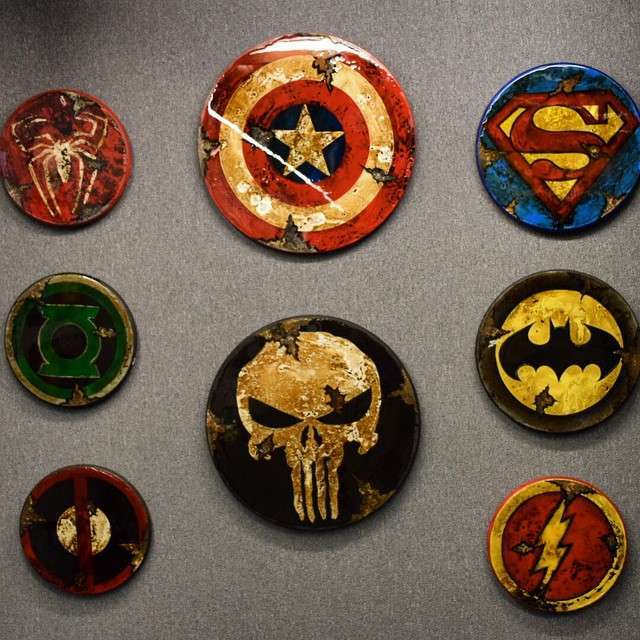 The Transmetropolitan Gallery – A pop-culture, fine art gallery featuring an ever-changing array of top quality comic and media themed art – including sculpture, paintings, custom toys and original comic art –from local, national and international artists. The Offworld L.O.U.N.G.E. – A Sci-Fi gaming lounge, heavily inspired by the movies Blade Runner, Alien and the game Skyrim, where guests can enjoy a nice selection of beverages and snacks while facing off in a round of tabletop games or wrecking the noobs at Super Smash Bros.
Special events such as gaming tournaments, midnight release parties, nerd themed weddings, birthday parties, celebrity signings, conventions, art gallery receptions, charity fundraisers, VIP parties, live bands, DJs and karaoke music nights, comedy and trivia nights, and themed costume parties. Co-founders Todd Fisher and Anna Young have been in the comic and toy retail business for nearly 40 combined years. 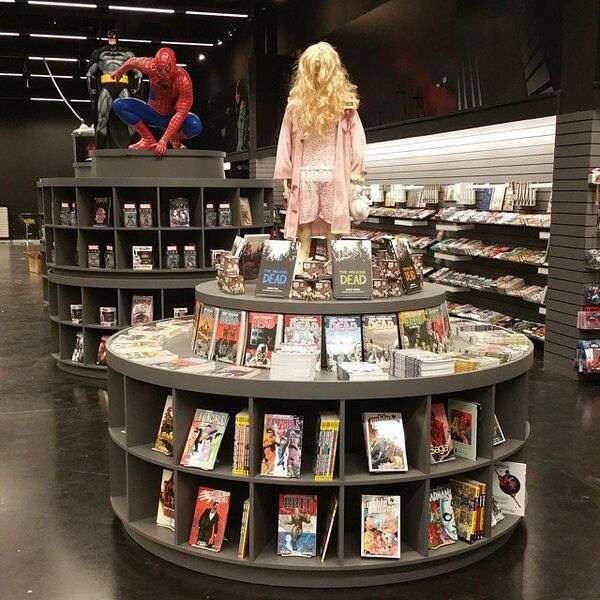 Multiple winners of ‘Best of Orlando’ awards, the two have operated some of the region’s finest and best loved stores and galleries including Acme Superstore in Longwood, A Comic Shop in Winter Park, Tekno Comix in Altamonte Springs, and Park Avenue Fine Art and Russell-Alexander Fine Art in Winter Park. Orlando, FL 32819. 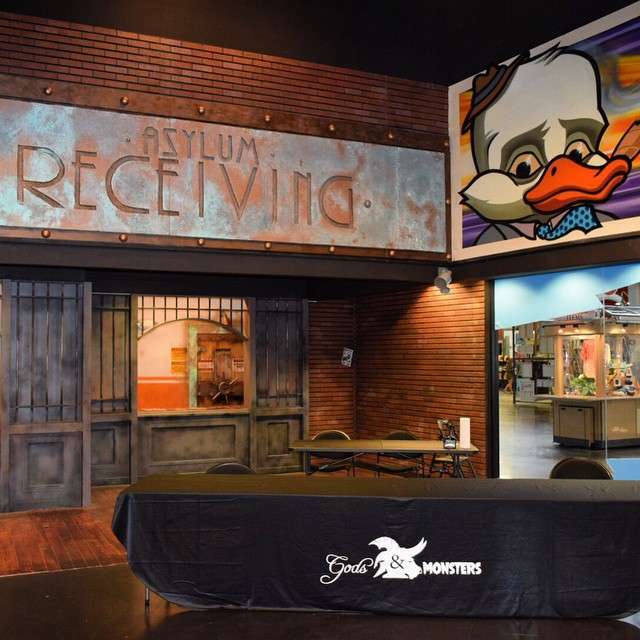 For more information on the Grand Opening, call 407.226.3347, Email info@godmonsters.com, or visit www.facebook.com/events/1433721470272830. Next Post Mummies of the World Review! Open in Orlando!